eDirectory version 9.8.2 is here, and with it, some new funcionalities and layout changes that the Site Manager will notice right away. One of them is the new Dashboard, that now shows the important information just like you need it to – a click away to approve, edit or delete a new item. Keep track of your process with your Revenue and Visits numbers! 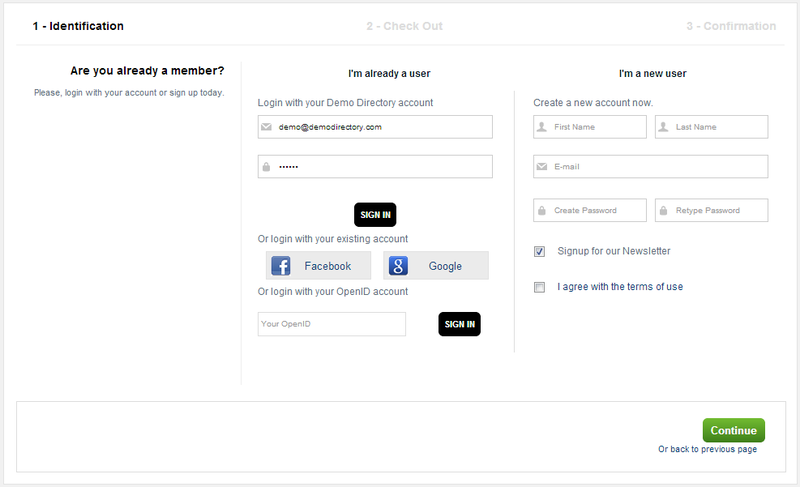 Some other important feature that will impact directly your advertisers and visits is the new Signup Process. A new interface has been designed by our team to ensure that to add a new item or become a member of the site is simple as 1, 2 and 3. Need more? We got it! 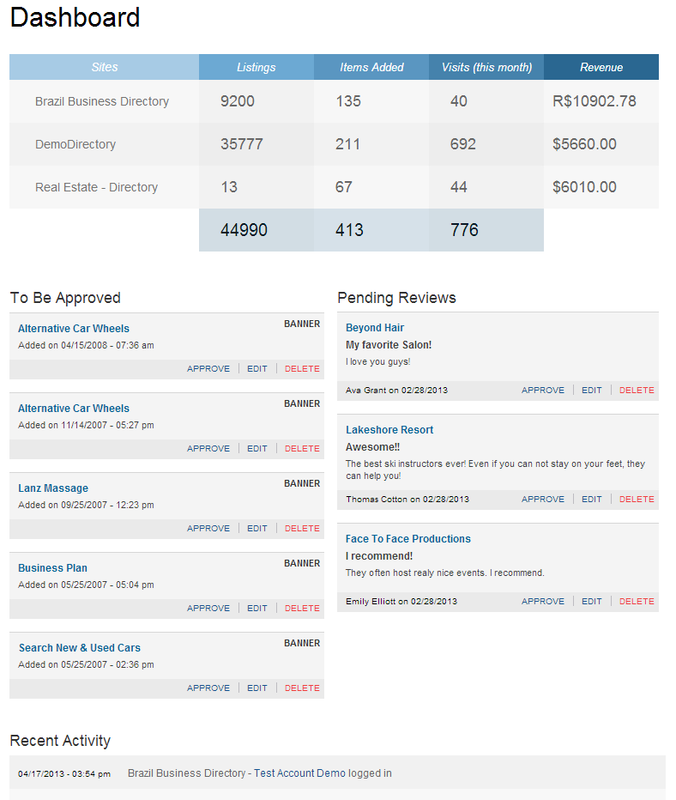 In eDirectory version 9.8.2 you’ll also see a brand new interface to manage Accounts Permissions, SEO fields included in the import file for Listings and Events, Package reports with information about the account that bought the package and now is possible to have trackable url for newsletters campaigns. Check all these features and much in our demonstration site:www.demodirectory.com. And to purchase version 9.8.2 to go Orders page or contact us – sales@edirectory.com.